Houston’s problematic pension funds, which have caused financial woes and spurred political battles for years, just moved closer to getting a massive makeover. 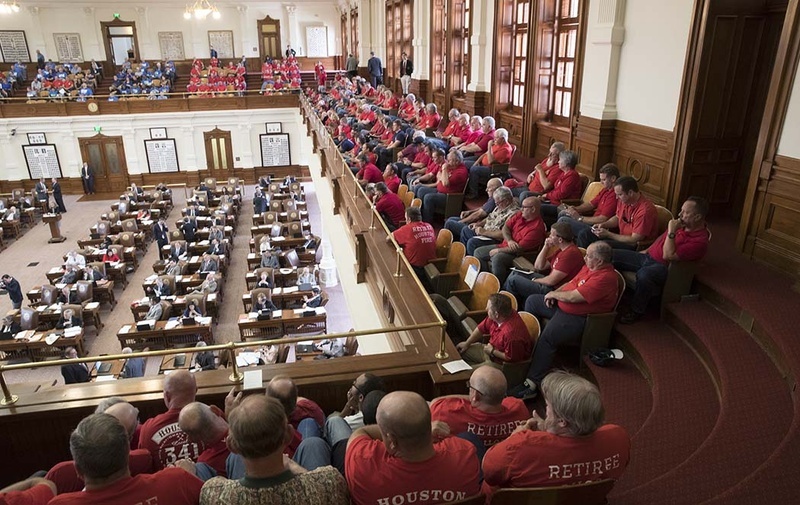 Retired Houston firefighters and police officers packed the Texas House gallery on May 8, 2017, as they await debate on a municipal pension bill that would affect their retirement payouts. Meanwhile, firefighters who could benefit from one of the amendments remained cautious after the bill’s preliminary vote. “We have to see how the rest of the process unfolds,” said David Keller, chairman of the Houston firefighter pension fund. 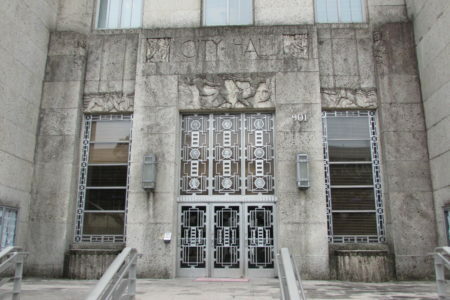 SB 2190 would cut some retiree benefit features, increase some employee contributions to funds, and infuse the police and City Hall employee funds with $1 billion, which the city plans to finance through bonds. 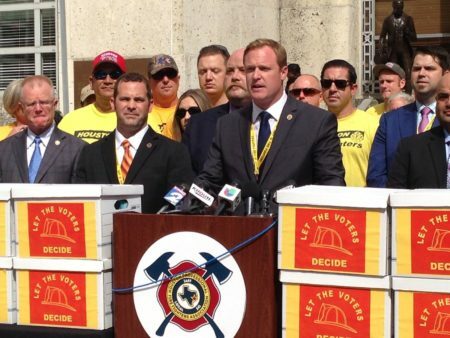 Firefighters opposed the bill, which still needs a final vote in the House, because it cuts some of their retirement benefits more than they anticipated when their fund is not in nearly as bad of shape as the police and municipal funds. City officials, though, said firefighter benefits were more generous than police and municipal benefits and were too costly to taxpayers. 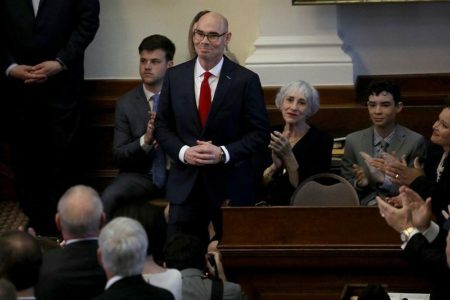 When the amendment passed, applause broke out from the House gallery above, where scores of Houston first responders had gathered to watch the vote. “I’ve presented many bills this session, and I’ve never said it’s too late,” Huberty said. Flynn’s companion bill was slated to be voted on by the full House on Monday. Instead, Flynn put forward the Senate version, which includes provisions requiring future employees to be switched to a different kind of retirement system if the current funds’ shortfalls exceed certain thresholds in the future. 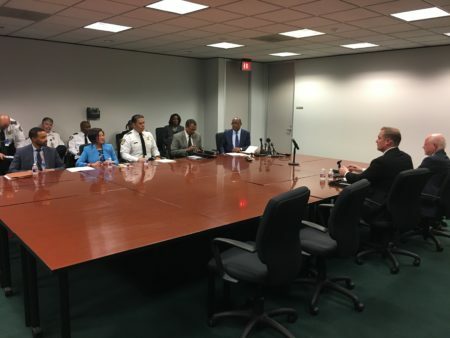 Houston Mayor Sylvester Turner and the city’s police and fire chiefs had warned of first responder shortages if legislation overhauling the pension funds didn’t pass this session. Lawmakers supporting SB 2190 said several times Monday that if a bill didn’t come from the Legislature, the pension funds would fail. State Rep. Dwayne Bohac, R-Houston, also successfully amended the bill to prevent changes in the bill from affecting current retirees. And state Rep. Mike Schofield, R-Katy, tacked on an amendment that would nullify benefit cuts the pension funds agreed to if Houston voters don’t sign off on a plan to infuse the police and municipal retirement funds with $1 billion in pension obligation bonds. Flynn opposed Schofield’s amendment, saying it could have unintended consequences. Yet he almost immediately allowed it to be added onto the bill. “I’m going to go ahead and accept it at this time and we’ll deal with it later,” he said. After the vote, Flynn said it was “good news” that the majority of his House colleagues want to fix the pension systems. But he also wished some of the changes hadn’t been made. He called Huberty’s amendment a “campaign speech” and again criticized firefighter pension board members. Keller said Monday that he didn’t know whether the firefighter pension board would vote to release the data referenced in the amendment.